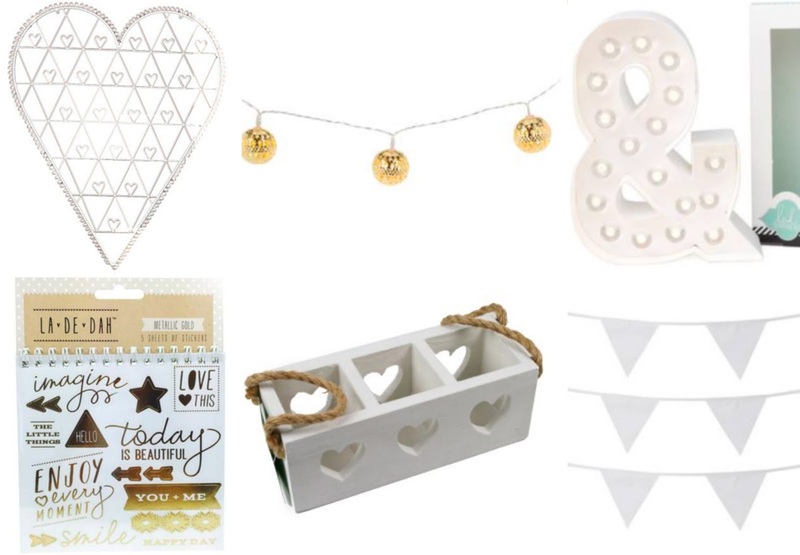 I got really into crafting in 2015 and with that, came a love of Hobbycraft. It all started after I attended one of Claireabellemakes' Cambridge Craft Parties where she taught us about jewellery and flower crown making in order to get us in the mood for the warmer months ahead. After this, I decided to go and see what I could try to make myself - and of course this lead me to Hobbycraft. In Cambridge, Hobbycraft is a little out of town, but definitely worth the journey. There is a two storey shop filled with ribbons, fabrics, papers, sticky tape, paint, DIY project ideas, the list goes on...safe to say, it's heaven! So as it is my birthday in a couple of weeks, I thought I would take a look at the Hobbycraft website so that I can decide on a few things I'd like to get for my 24th birthday. As much as it may be a bit of a cliche at the moment (because most bloggers say this), I have to admit that I am obsessed with white and gold right now. I think that all of these items would go perfectly in my house. Sometimes it is the extra additions that make a house a home, and I definitely think these items would do just that! What do you think of my birthday choices? Let me know! I have always been a sucker for nice advertising.